Yes, twice! Hahaha, too bad Cilegon doesn't have any 3D cinema :( I think that this movie will way much better to be enjoyed in 3D.. Or is it just me? Anyone has watched it in 3D? Before i recreate her makeup, I read a few articles about her makeup. 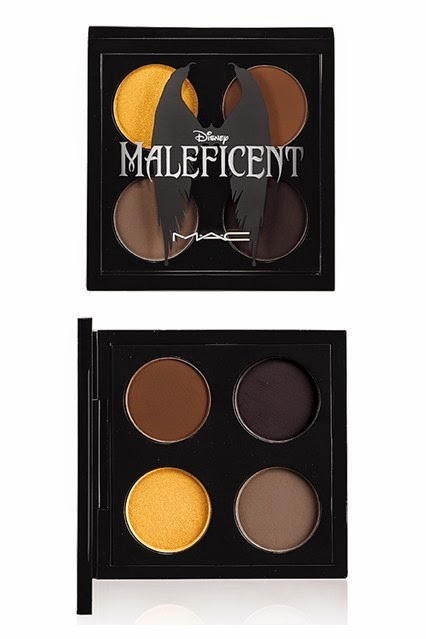 It was Angelina Jolie herself who asked to used more prosthetic to create the Maleficent look, because she said that she will played a creature. Well, I agree with Angie's decision to add more prosthetic because she looked beautiful and yet creature looking. 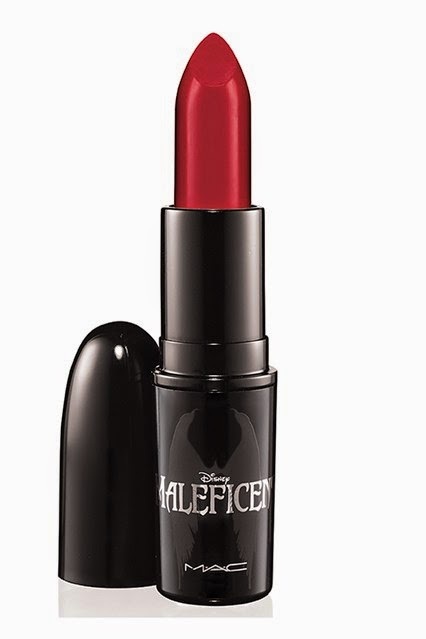 You could read the article that explain about Angelina Jolie's Maleficent makeup on Allure Exclusive. 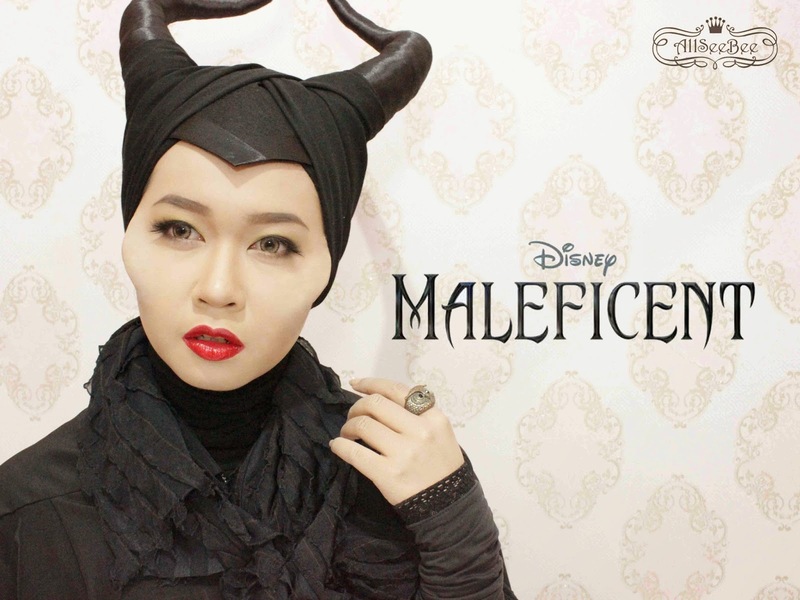 First of all, I have to say sorry for not preparing any specific tutorial either for this makeup nor for the horns. It didn't mean that I don't want to share it to you, but what I did in this makeup and horns are really experimental and I actually not quite sure with the result when I made this. Even, during the process, I almost lose my confident. Regardless those things, I still want to share you about the process. I made the base out of wire then I wrapped it with felt and then wrapped it with satin ribbon by twisting it. 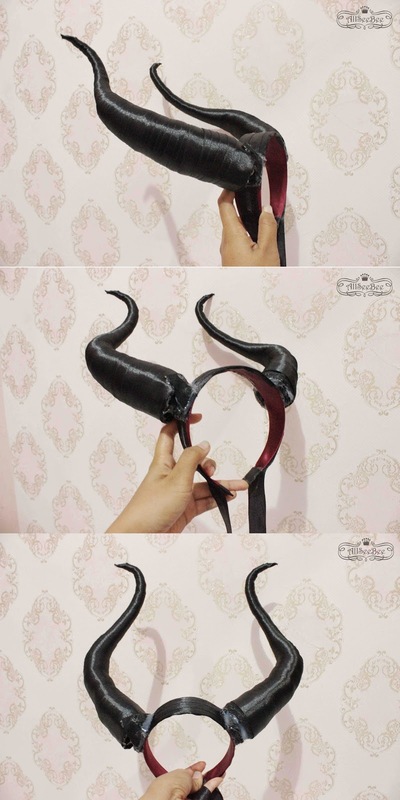 After that, I attached the horns on a wide plastic bandanna. Hahaha, my hand got scratched and poked by the wire a lot during the process.. 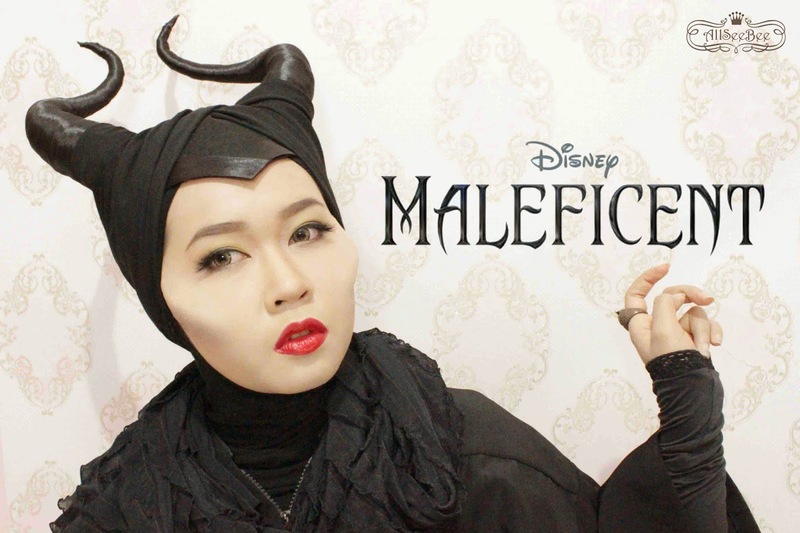 This is me, without any makeup at all and was trying to create that inhuman cheek bone that Maleficent has. 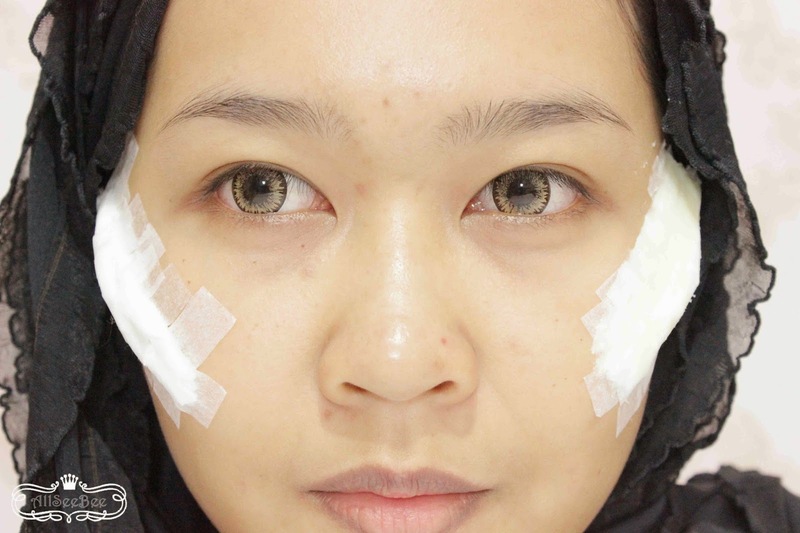 On my right cheek, that was tissue that I fold and attached to my cheek with Micropore Paper Tape (it's a medical tape). 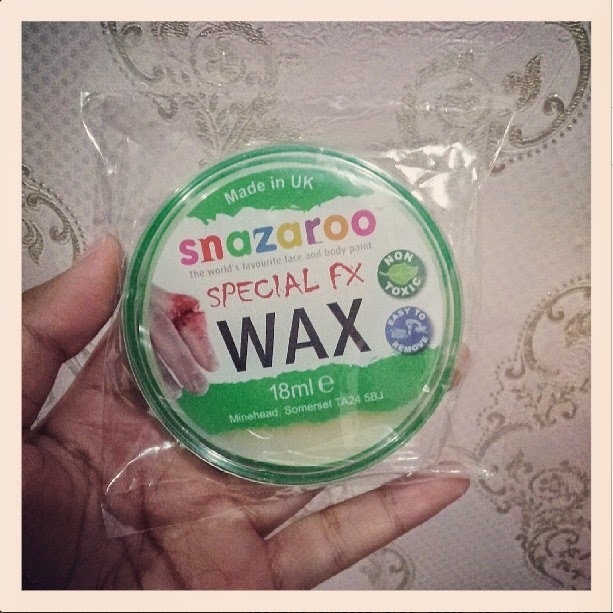 On my left cheek, I already add Snazaroo Special FX Wax after the same procedure I did on my right cheek. This was when I started to became not sure. I had to remade one of those cheek (right after I applied wax on both sides) because I felt that it didn't have same position with the other one. 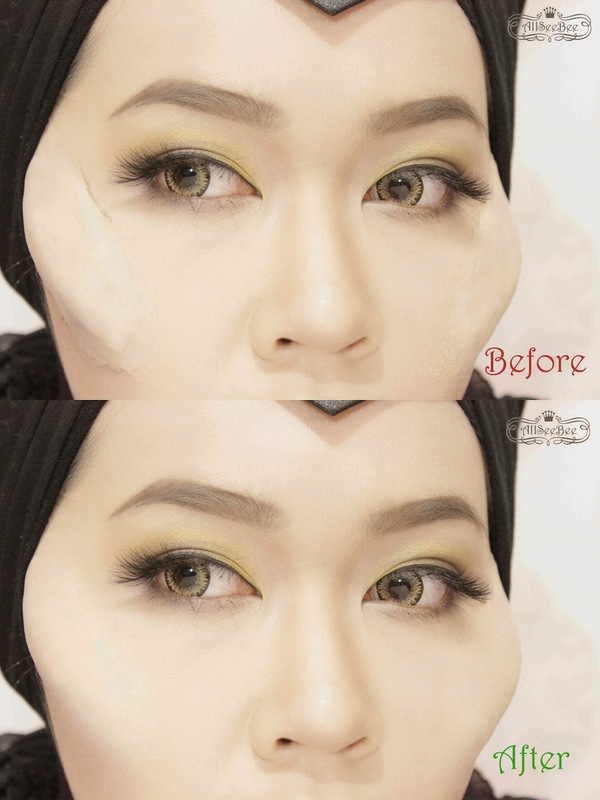 After the wax application process, I covered it with the mixture of peel off mask and loose powder. I realize from the beginning that I have to applied it very smoothly in order to achieve the flawless result. When I already reach this stage, I still not confident enough with what I was doing and not really satisfied with the peel off mask result . Moreover, it was frustrating me to find that my foundation couldn't cover the cheek parts and once the peel off mask dried, some parts looked flaky. 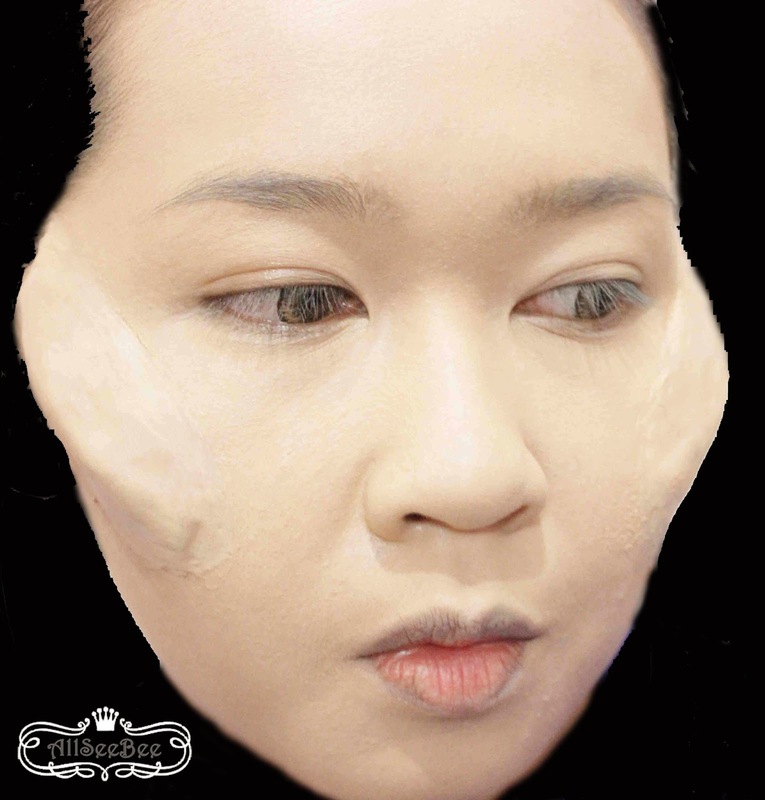 After three layers of liquid foundations and the cheek parts still had different shade with my real skin, I finally decided to apply concealer that lighter than my skin tone to my whole face and it turned out quite good. Oh yes, still uncertain and not confident and not satisfied with my base result. But I already done this far, it would be very stupid if I gave up, right? I already made the horns for like five days and I have to continued this makeup.. So, I convinced my self to continue. Maybe I still felt not sure because I had not put some colors on my face yet. Colors are including eye makeup, shading and highlighting on my nose and cheeks. Oh yeah, for the flawless finish, Photoshop does the trick. Yes, I Photoshoped it. As you can see on the 'Before' picture, my upper right cheek started to crack due to the melted wax. Not a pleasant thing to see, right? 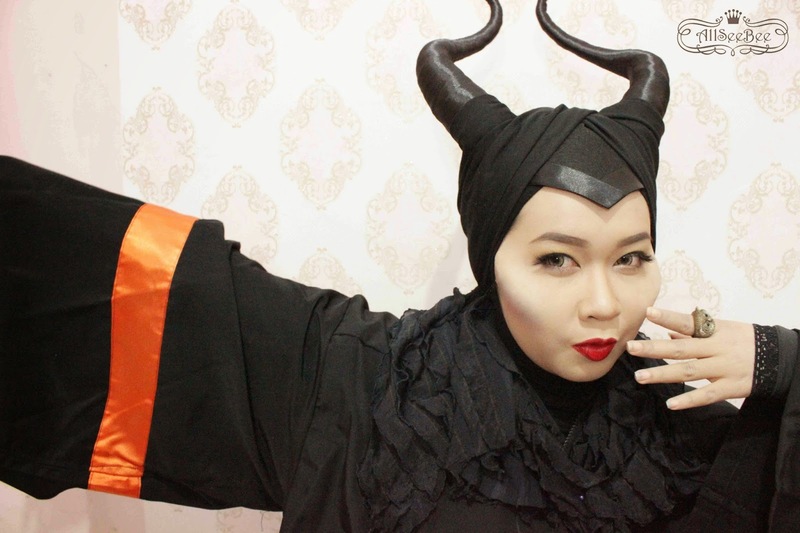 keren bangettt ♥ horn-nya juga ya ampun.. great job, dilla! waaaah keren! 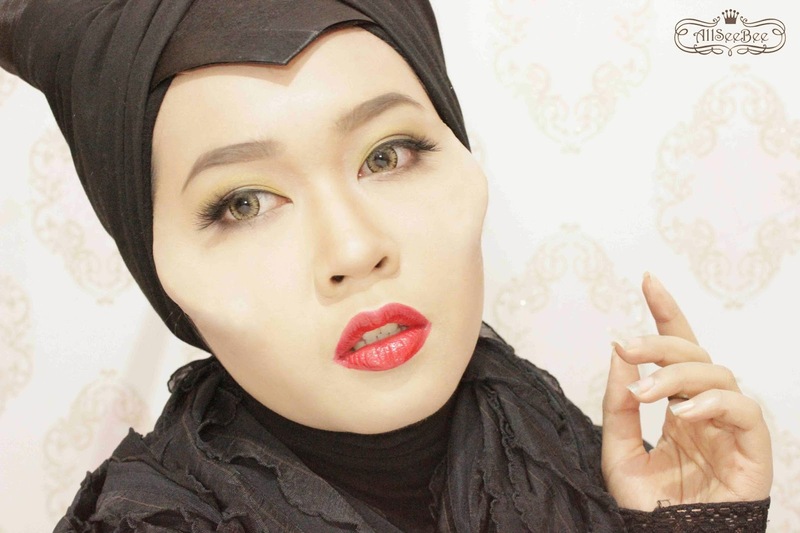 pantes awalnya aku agak heran ko bisa nonjol banget apple of cheeks nya padahal contour nya pun soft.. keren banget dil! kaaa aku speechless ._. .......keren bangettt!!! 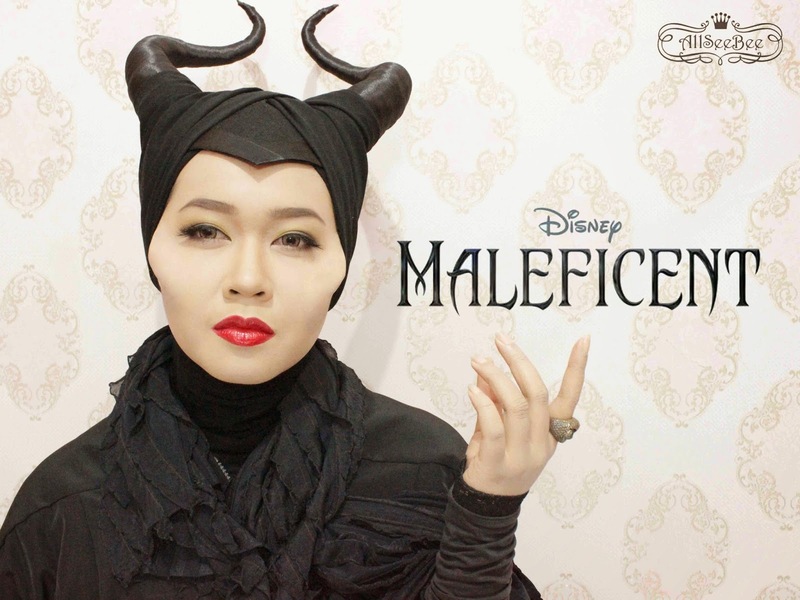 dila...horn ama cheekbone nya keren abis deh... selalu kreatif! suka bangettt! jeeeeeeenggssss.... kereeennn! omaigat omaigat! speechless! Apa lagi tanduknya itu DIY? plok". LT Pro Shade itu bagus gak sih?